Ancaster—like other districts in Hamilton—has experienced a significant increase in home values recently with average sale prices up a staggering 16.9% year-to-date. Also, as of November 2016 year-to-date, homes selling for over a million dollars in Ancaster have almost doubled year-over-year. 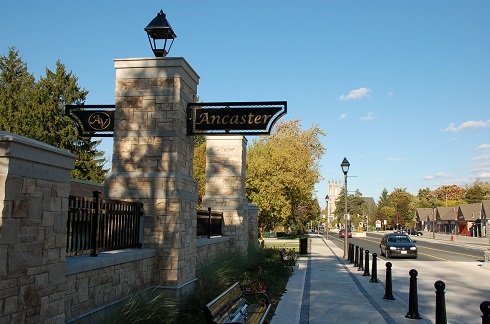 Ancaster remains one of the most desirable and sought after communities with magnificent conservation areas, hiking trails, numerous amenities and convenient access to major highways. Despite being one of the more expensive areas in the Hamilton CMA you still get incredible bang for your buck when compared with Toronto and the GTA. So where in Ancaster are most of these million dollar sales taking place? Nearly a third were in the Oakhill—Clearview Heights Neighbourhood in 2015 with the remainder being fairly evenly distributed throughout Ancaster. In 2016 Oakhill-Clearview Heights remained in the number one position with 27% but two other neighbourhoods emerged as contenders for a good part of the market share. These neighbourhoods included the Meadowlands with 20% and Nakoma-Greenside Acres—Perth Park Neighbourhood with 15% of the million dollar plus sales. It seems buyers in this price range—based on location—prefer newly constructed homes in more mature neighbourhoods. Both Oakhill-Clearview Heights and Nakoma-Greenside Acres-Perth Park are mature neighbourhoods. Also, the majority of the sales occurring here were of newly constructed in-fill development. In-fill development—the tearing down older homes to build new ones—has really gained traction in these neighbourhoods over the past few years. A trend that is likely to continue as we are now beginning to see in-fill development in other neighbourhoods throughout Ancaster. In the Meadowlands the typical million dollar plus sale was of large i.e. 3000+ square foot newer construction homes. Perhaps buyers drawn to this area preferred the newer subdivision with its close proximity to nearby amenities including shopping, public transportation and highway access. As of December 1st 2016 there were 79 detached homes for sale in Ancaster and of these 46—more than half—were listed for over a million dollars. It will be interesting to see how many million dollar plus home sales there are over in Ancaster over the next year and in what neighbourhoods. Source: Realtors Association of Hamilton Burlington (RAHB) Statistical MLS Information 2015 & 2016.